Guyette & Deeter estimate that when the antique decoy auction is complete, DUC will receive more than $875,000 USD from the sales to support conservation in Canada. John Latreille remembers how he caught the decoy collecting bug. That was more than 40 years ago. Today, Latreille’s son Kurtis has caught the bug, too. So when the father and son from Cornwall, Ont. learned about special auctions in the U.S. featuring antique decoys by well-known Canadian carvers like LeBoeuf, they had to participate. The auctions included the largest assembly of Canadian decoys ever offered, from the private collection of Vancouver, B.C. businessman Peter Brown. In May 2016 Brown donated 1,000 antique duck, goose and shorebird decoys to Ducks Unlimited Canada (DUC). DUC then offered the majority of the collection to the public through live and online auctions by Maryland-based auction firm Guyette & Deeter. Net proceeds from the decoy sales were provided back to DUC. 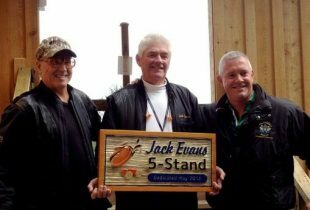 Most of the birds were working decoys carved in key Canadian waterfowling areas in the late 1800s and early 1900s, including a pair of Ivar Fernlund pintails that sold for $201,250 USD, setting a world record for the Hamilton, Ont. carver. The decoy aficionados went to three more shows, purchasing one Peter Brown decoy from each show. 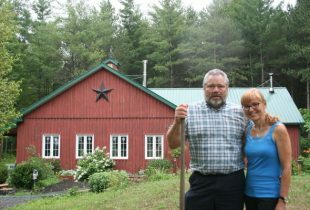 Knowing DUC would be the beneficiary of funds raised through the auctions made the Latreilles feel even more connected to their investments. 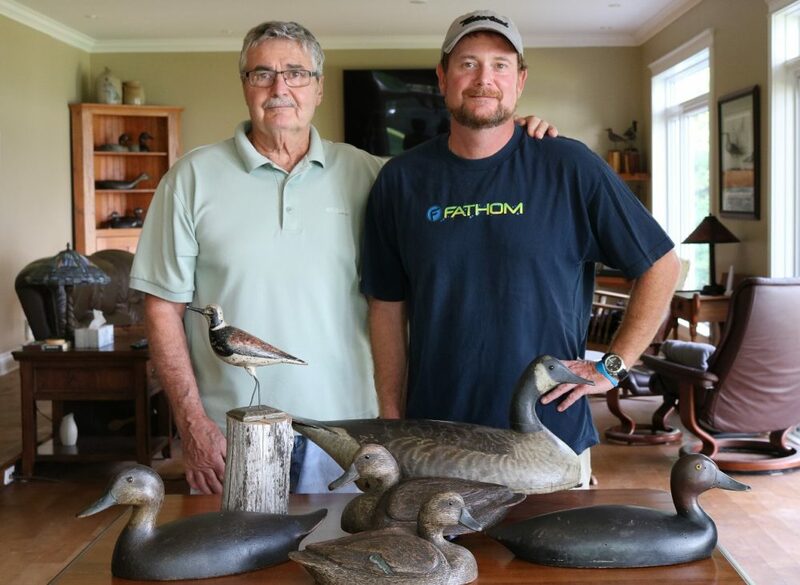 Jon Deeter of Guyette & Deeter says John Latreille’s excited reaction to getting the Fernlund decoy at the first show was one of the highlights of his experience with the Peter Brown decoy auctions. Deeter estimates that when the last of the decoys are auctioned at the end of 2018, DUC will receive more than $875,000 USD from the sales. “Ducks and collectors will be the beneficiaries of Peter Brown’s legacy,” says Deeter. Getting to the heart of what the collection has meant for a longtime Canadian decoy collector like John Latreille is difficult to define. “It’s hard to explain, to get an old hollow decoy from the St. Clair flats or Long Point—some of them in their original paint even after 100, 150 years—It’s like finding a treasure,” says Latreille, who has a message for Peter Brown. Selling antiques through a professional auction house can help you reach buyers who will truly appreciate them. DUC has partnered with Morphy Auctions so that you can consign, donate and purchase collectibles and support conservation in Canada at the same time.